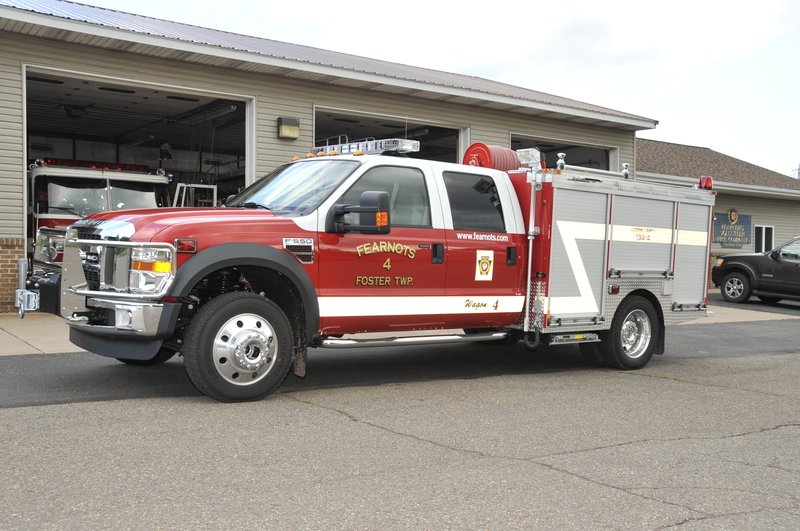 In 2007 the Officers and firefighters of the Department realized that in order to fully protect their community, they needed to updated their aging 6×6 wheel brush truck. 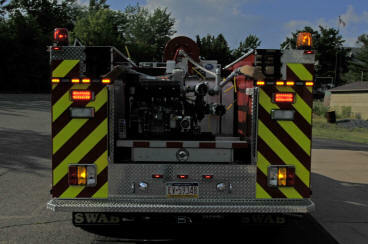 The new design will enable the truck to be used in a variety of situations. Many calls don’t require an engine or tanker, but rather a smaller, quicker and more maneuverable 4 wheel drive. 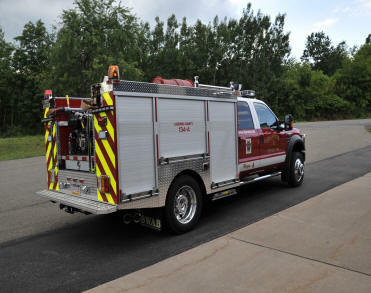 Firefighters designed a truck to meet the needs of their community. 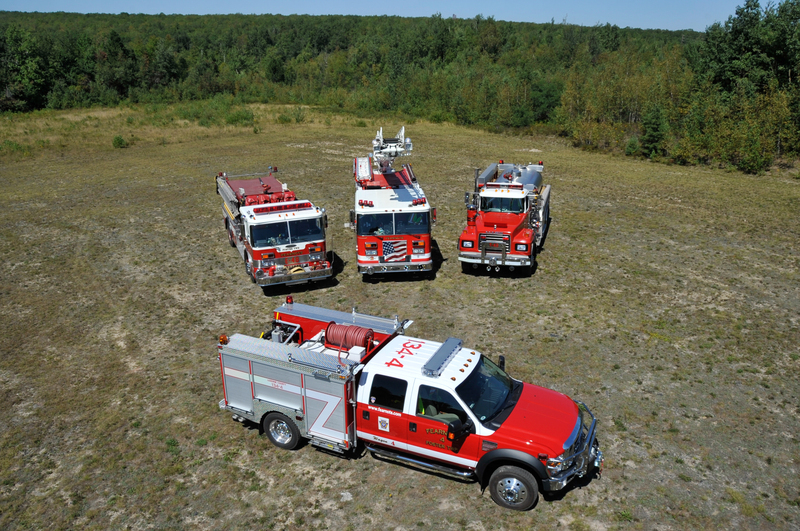 The truck is equipped with a water tank and skid unit to combat brush and dump fires. Traditional “Indian Tanks” and new collapsible water tanks are stored on the truck, along with brush rakes and brush cutters. 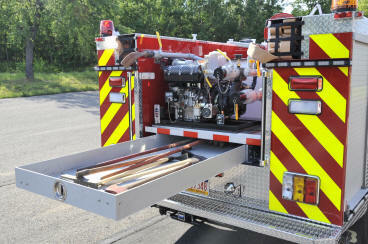 It will also be equipped with a Hurst Maverick Jaws of Life tool. This combination tool can be used to compliment the full set of rescue tools on Rescue 2, the Engine/Rescue/Squirt, or independently in cases of bad weather conditions and multiple incidents. 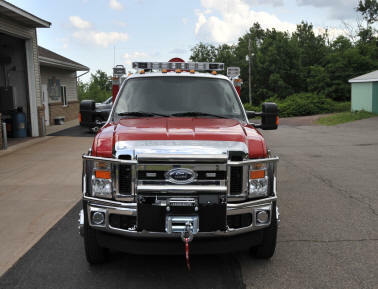 A winch mounted on the front of the truck will enable it to quickly stabilize a vehicle in a life threatening situation. The truck is also equipped to assist with residential flooding. It has specially designed pumps that are placed into flooded basements to pump the water out. It also has air sensing equipment, used to detect Carbon Monoxide. The rear of the vehicle has been designed to assist in traffic control and has a highly visible reflective striping design and a traffic control arrow. 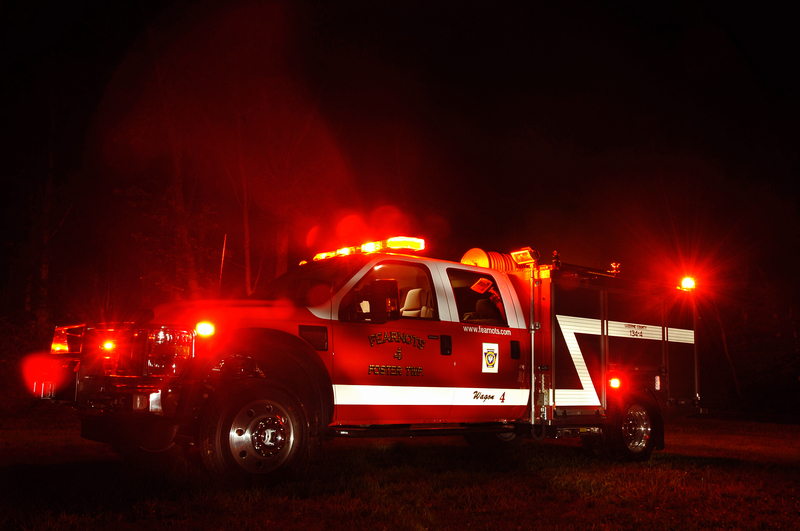 Wagon 4 was received on June 23, 2008 and responded to its first call during the early morning hours of June 29, 2008.